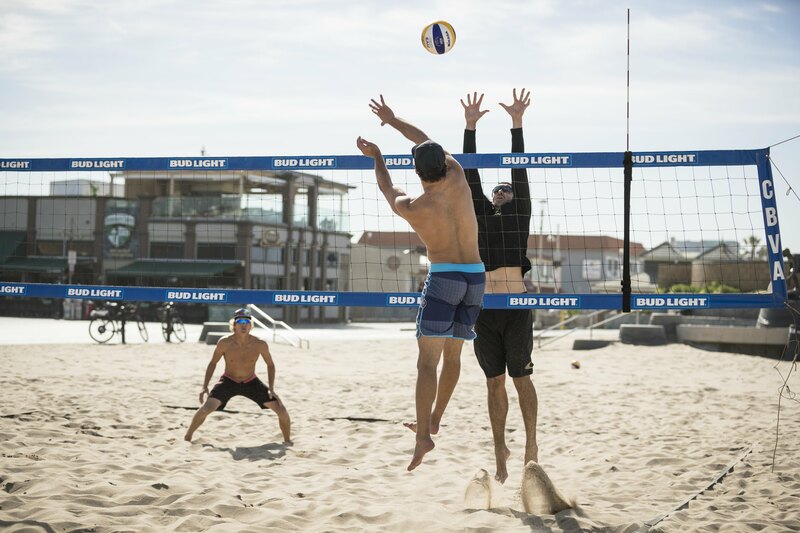 From the very beginning, our mission has always been to help players get better at beach volleyball. Everyone knows that California is the place to be. It’s where the best come to battle the best. Making that move and be a daunting task. Where do I live? Who are the best coaches? How do I find other players at my level or BETTER? Can I get lessons or take classes? We strove to create a place where all of those problems can be taken care of in one click. We have the accommodations, the coaches and the connections to all the local players. We have a database of people we can get you in touch with for practice matches. There is no better place to be than right here if you are in California or coming to us and you want to become a better volleyball player. If you are looking for a coach to focus on just you for 1-2 hours, why not have it be someone who has already earned their stripes on the pro tour. Every one of our coaches is a current professional player or a pro coach. You can also split the cost with other players for a private group training. Our class structure is unlike anything else being offered in the beach volleyball world. When you get a pack or a monthly plan you can come to any class you want and these classes run at least 5 days a week all year long. Levels in these classes vary but with the exception of some competitive themes, our coaches design exercises as CHALLENGES instead of COMPETITIONS so that whether you are a total beginner or you played in Rio 2016 we can work on the same skill. Pros might be perfecting their skills until they can’t get it wrong while a beginner using the same movement and the same technique is just learning it. Classes range from 45 minutes to an hour and 15 depending on the time. The part that we love is how classes are broken down. Gone are the days of Beginner, Intermediate and Advanced Classes. Never show up to a lesson clueless about what’s going to happen. We label every session by the skill or exact part of the game we will be working on. Missed a cut shot for match point last weekend??? Come to our Shots Class. Really want to learn how to hand set??? We know you are coming to our 45 minute In-System Setting Clinic. Choose the skills that YOU want to work on! Fly in on Sunday afternoon. Fly out the following Sunday afternoon. Hermosa B each is just a 20 minute ride from LAX. You’ll have chosen one of our great hotel partners to stay with and you won’t be disappointed. All hotels are an easy walk from our training site. Soon after your arrival we go through a light ball control and movement session to ease your body into the week. Watch the sun set over the Pacific Ocean and it’s time for dinner and camp orientation. We will start early in the morning so enjoy the nightlife at Hermosa Pier but be ready for some intense days. Almost every day you’ll have the chance to sit courtside at a professional practice from 8-10am. All of the pro’s live near Hermosa and Manhattan Beach and in the mornings you can’t walk 3 blocks without seeing the elitist of practice sessions. Many World Tour teams come here to get the best training and competition in the early part of the year. After some inspiration from the pro’s it’ll be your turn to train under their tutelage. Your first chance to jump into a class (depending on if you bought 7, 10 or Unlimited for the week) will be on Monday morning at 1030. Each session last about 90 minutes. Be ready to make new friends and pick up some partners because the local California players pay memberships that give them access to all practices. This is a GREAT opportunity to schedule some pick up games or snag a partner for the tournament on Saturday. After your morning practice, you can go surfing, bike to Muscle Beach in Venice or even go as far as the Santa Monica Pier… Want to go for a hike? Head to Runyon Canyon under the world famous Hollywood sign or just take a 15 minute ride up the coast to the Palos Verdes cliffs where you can walk along the Nature Preserve and check out the tide pools. If you are a volleyball junkie, you have to go to the Manhattan Beach Pier to check out the volleyball walk of fame where all the Champions of the MBO have their name plates embedded into the pier. Of course, if you can’t leave the beach, you can always borrow a ball and play on your own or check out some surf lessons just a few blocks away. Don’t spend too much energy because in the afternoon we have more training. This can be at 3:30 or 5:30 depending on the time of year. Remember, you will have a class schedule so you can pick and choose which practices you want to attend. Mornings and afternoons cover two different topics respectively so we usually tackle four small parts of the came per day which gives you a nice, well-rounded learning experience. At night we host beach barbecues, hang with the pros, grab dinner at local restaurants and hit up some karaoke, salsa or line dancing before tucking in and doing it all again the next day. ALL of our partner hotels are within walking distance of the best restaurants and bars in Hermosa Beach. Be sure to ask Mark for his scavenger hunt style to-do list so you can earn the coveted Hermosa Local status. Depending on the time of year and camp numbers, campers can choose to compete in a local CBVA tournament or one that we organize for our members and campers. Saturday night…. Lets Rage?? Time to let your hair down because the camp ends tomorrow and we don’t have any more training. Hit the town with the other campers and if you’re luck, some of your awesome coaches might come out for just one. Sunday morning we say goodbye… OR if you’re like several of our previous campers, you postpone your flight and become a Hermosa Local and live happily ever after in 75 and sunny beach volleyball paradise.